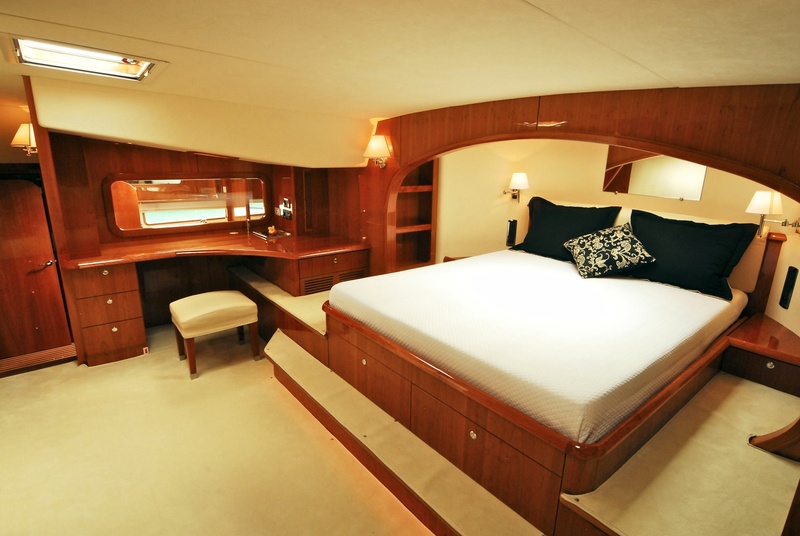 The 75’ luxury catamaran LADY ALLIAURA is an excellent example of the contemporary design and comfort offering all of the amenities that Privilege is famous for. 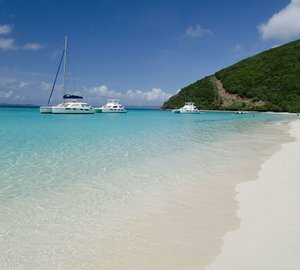 Available for private charter throughout the BVI, Windward and Leeward Islands and Grenadines, catamaran LADY ALLIAURA is the perfect yacht for charterers wishing to experience the adventure and beauty of the tropics on a stylish and luxurious performance catamaran. 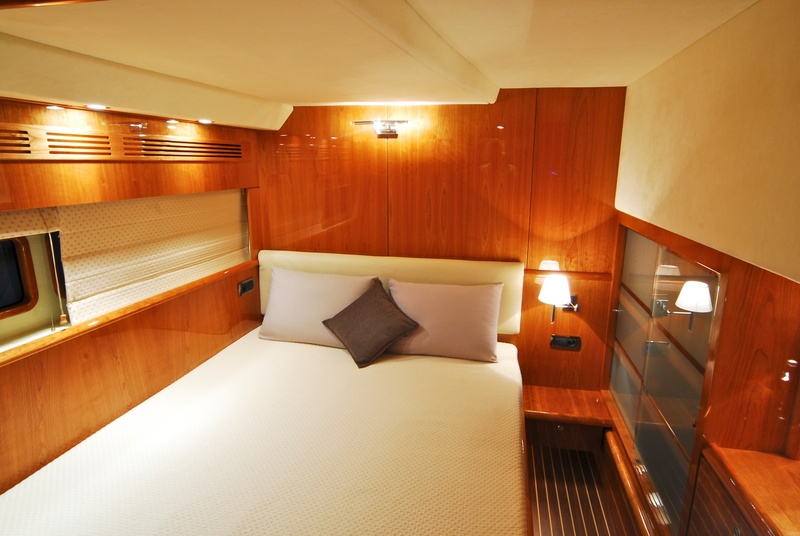 Sailing yacht LADY ALLIAURA boasts a spacious and chicly appointed interior furnished in white leather and light wood finishes, with chrome and glass accents and full air conditioning. Her comfortable salon seats 8 very comfortably at the formal dining table, or you can enjoy cocktails and canapés at a dedicated wet bar with seating just inside her large aft cockpit. Additional upholstered seating areas offer more secluded spots for relaxing or enjoying a video on her flatscreen TV’s, and huge windows bring in natural light and stunning views in every direction. 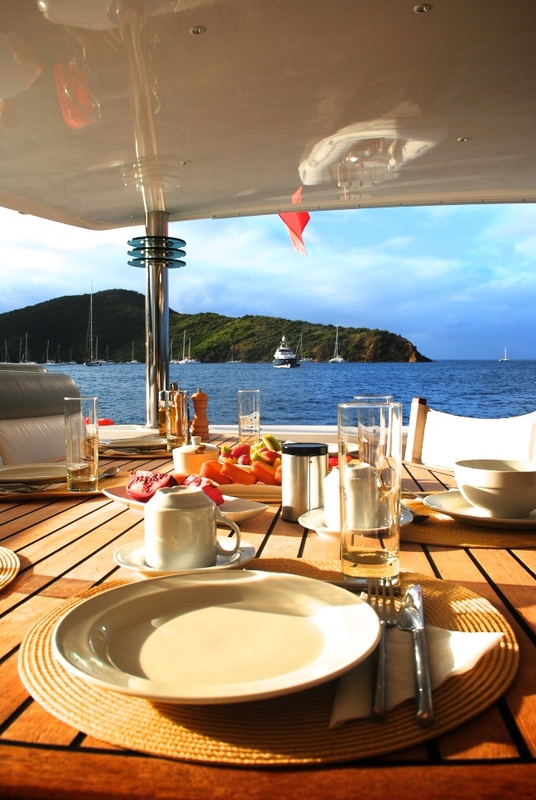 Above decks the LADY ALLIAURA Privilege 745 catamaran offers several thousand square feet of deck space for your outdoor pleasure. With huge forward trampolines, plenty of space for sunbathing, taking in the view, or even having a shady nap after a day on her toys, LADY ALLIAURA sailing yacht offers room for everyone. 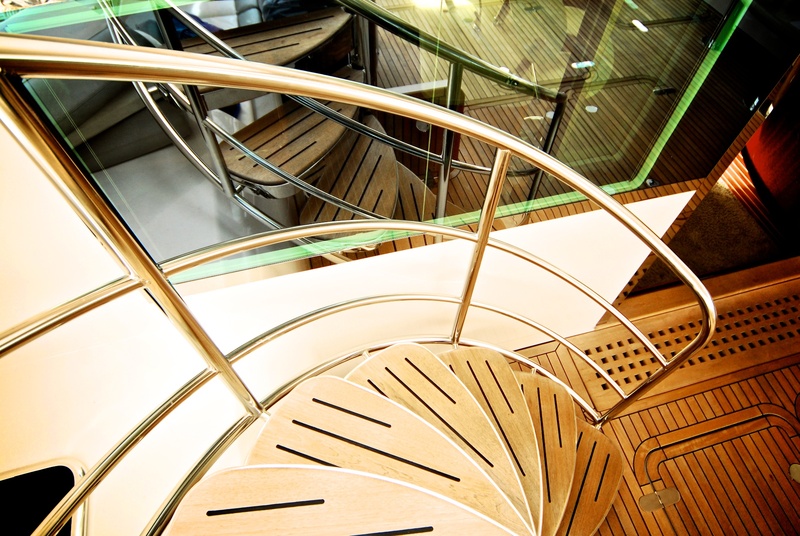 Her fantastic fly bridge is the ideal spot for sunset cocktails, or curling up with a good book. She carries a nice assortment of water toys including water skis, wakeboard, towing toys, kayaks, snorkeling and fishing equipment and floating mats, …all easily accessed from her aft swim platforms. S/Y LADY ALLIAURA’s fun and professional crew have been carefully selected to ensure that you receive exemplary service on a holiday you will never forget. With the gift of making their guests feel right at home and well cared for from the moment they get onboard, they welcome you onboard your home away from home. 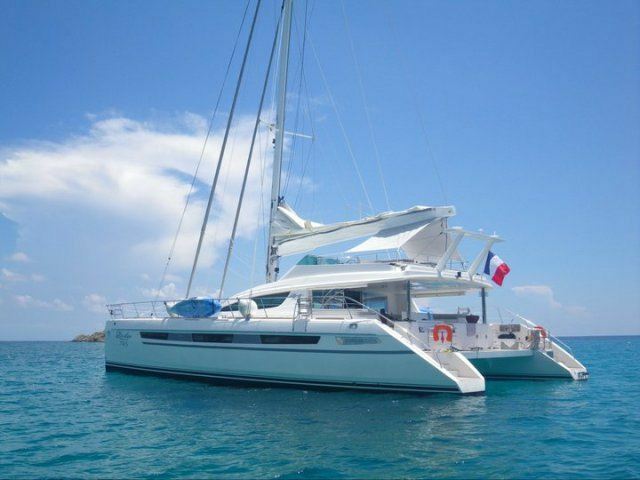 Their easy-going dispositions, combined with attention to every detail, ensure that you will experience a fantastic holiday, where every wish is granted as you relax and indulge on this fantastic catamaran. 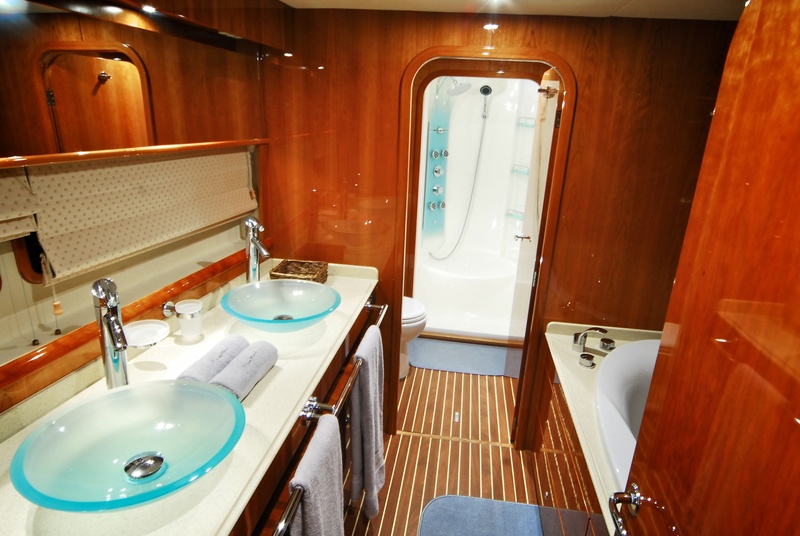 The Cat LADY ALLIAURA spaciously accommodates 8 guests in one king “owner’s suite” and three equal queen staterooms, all fully air conditioned with private bath featuring hydro-massage shower, and a bathtub in the master. With a stylish and contemporary décor her large salon area with indoor dining for 8 guests, as well as separate bar area with seating and additional seating areas for relaxing, reading, or watching her a video flat-screen TV’s. 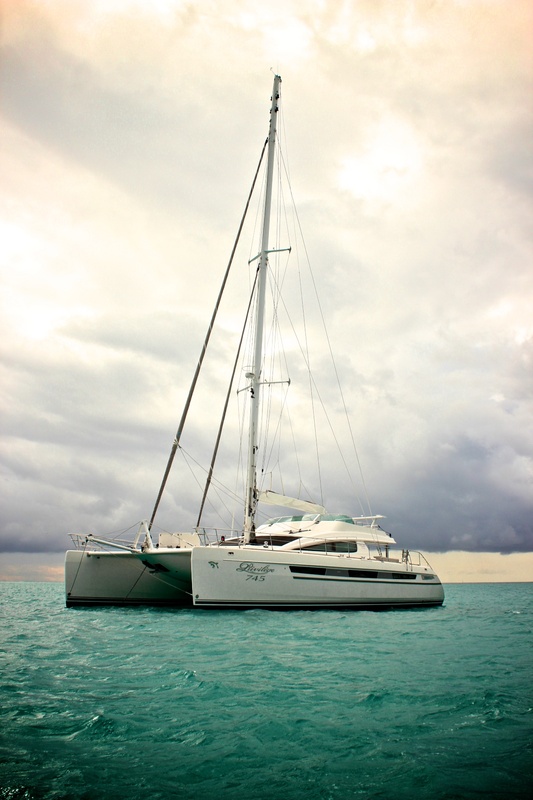 LADY ALLIAURA is fully equipped with all of the modern amenities you would expect on a fine catamaran, including air-conditioned throughout, with onboard water and ice-makers, TV/IPOD/Stereo entertainment system and spacious salon with eat-in dining for 8 charter guests. Above-decks she offer a spacious covered cockpit with lounging and dining space, barbecue, adjustable sun awning and deck shower. The Privilege 75 catamaran LADY ALLIAURA boasts a fantastic array of watertoys, including 16’, 9-passenger dinghy with 50 hp outboard, perfect for waterskiing, wakeboarding or towing her inflatable toys. Enjoy her two double kayaks, as well as full complement of snorkeling gear, floating mats, and even her fantastic Tresco Line speedboat (available in St. Martin only).